Back for its sixth year IGNITION: Future Of Digital will be in NYC. We'll have two days of jam-packed sessions on Dec. 8-9. The event explores the future of media as it intersects with technology and changes everything from how we consume information to how we market, invest, socialize, work, live, and play. At IGNITION you'll get a new understanding of the transformations taking place in the digital world. We'll discuss the innovation that matters and help you understand what you can do to keep ahead. You'll have the chance to network with 750 senior executives from the worlds of technology, media, entertainment, investing, finance, and the Internet. 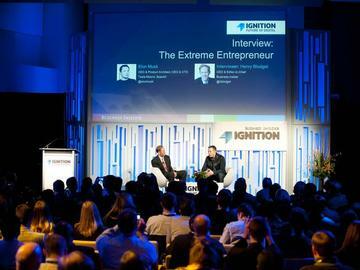 You may transfer your registration to another person by November 6, 2015, by providing authorization to us at ignition@businessinsider.com.